Price request for RM 61-01 Yohan BlakeRef. 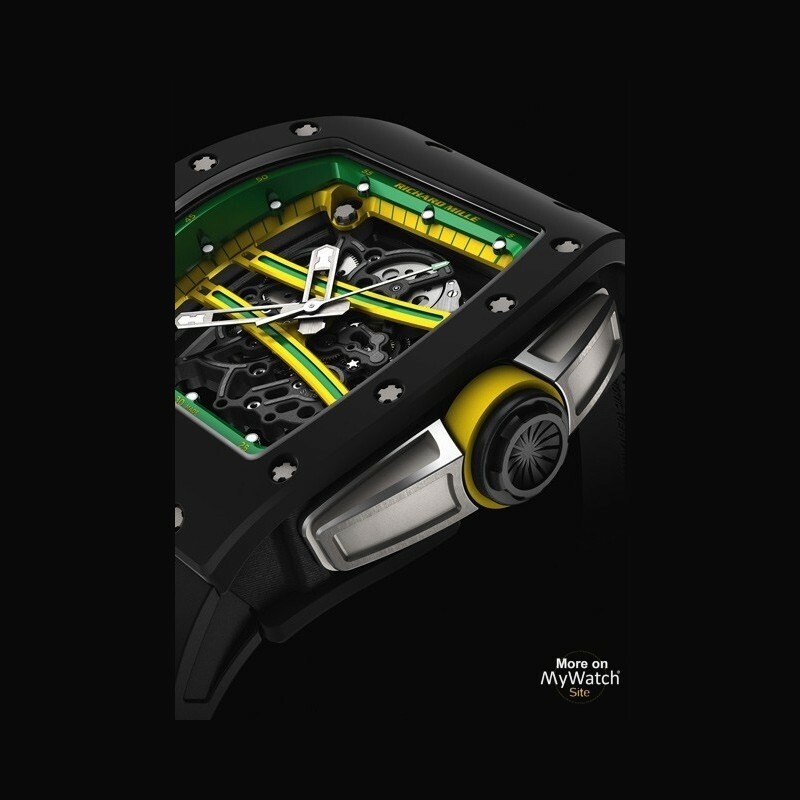 The RM 61-01 Yohan Blake takes all of its cues from the RM 59-01 tourbillon launched last year for the Olympic medalist and 2nd fastest man over 100m and 200m. 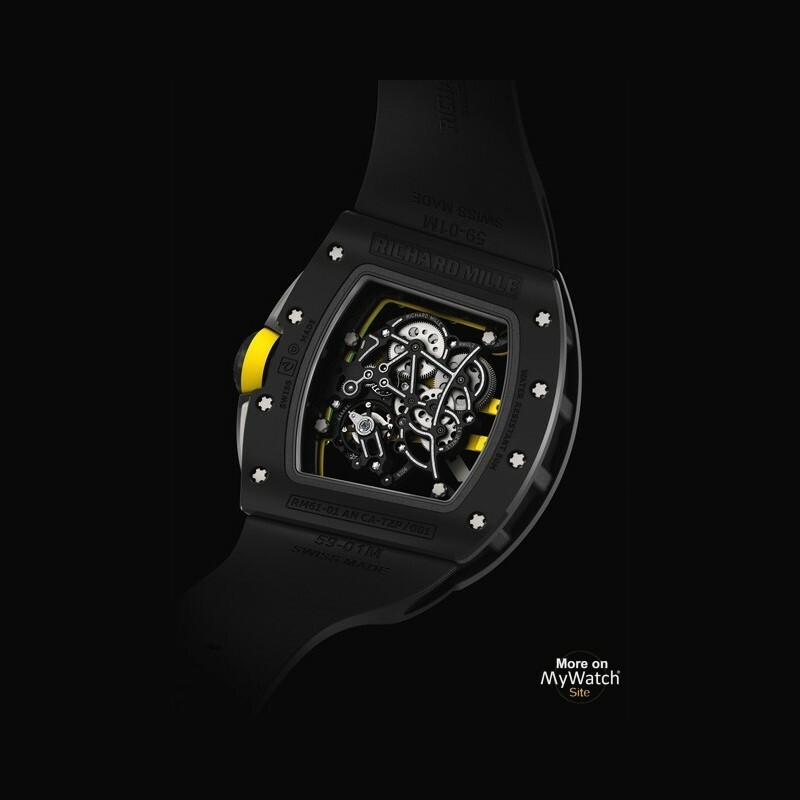 It combines the caliber RMUL2 with its highly skeletonised grade 5 titanium movement treated with PVD and Titalyt® to provide maximum performance. 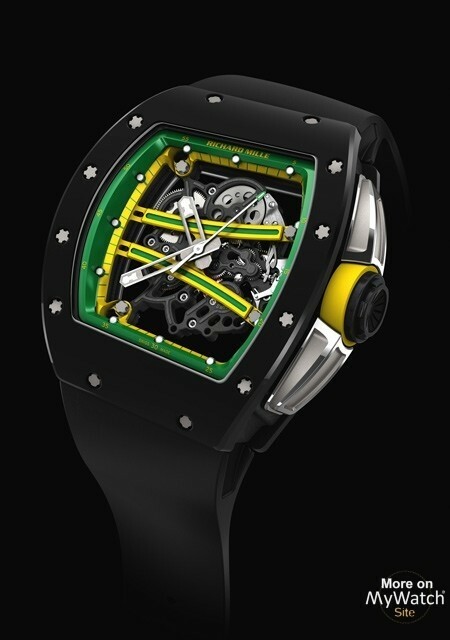 The bezel and the back of the RM 61-01 are created from TZP-N. This ultra-tough black ceramic material has a low density (6g.cm3) combining extreme resistance to scratches with a very low coefﬁcient of thermal conductivity. Composed of 95% Zirconium compound stabilized with Yttrium, TZP-N provides a perfect ﬁnish with blasted and hand polished anglage in combination with a caseband created from light and highly resilient NTPT® carbon. Its drawn-out shape between 2 and 5 o’clock stops the crown from rubbing against the sprinter handle. 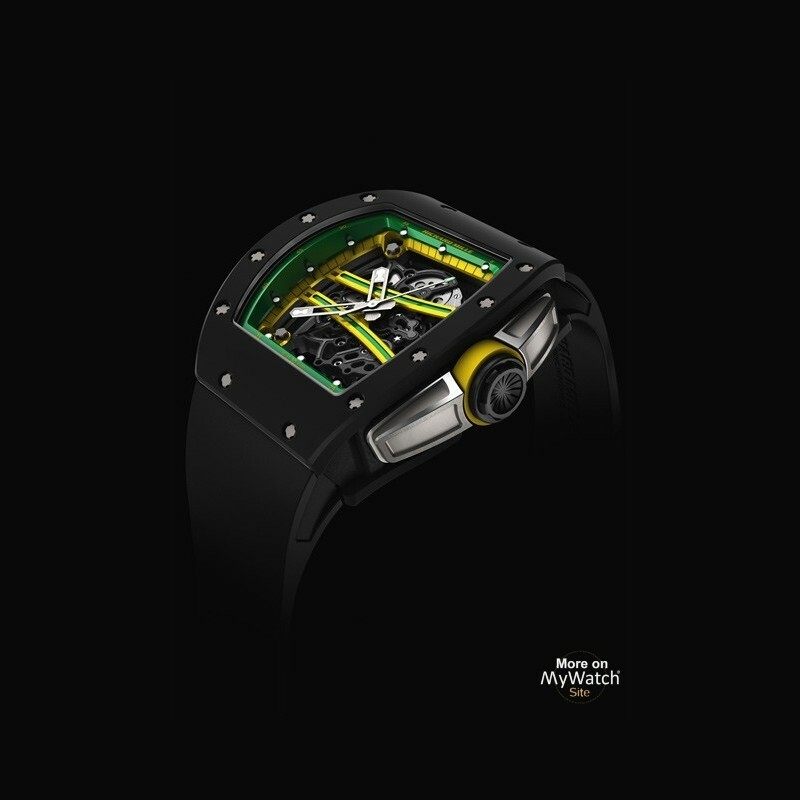 The skeletonised RMUL2 movement with 55 hours power reserve is built in grade 5 titanium treated with PVD and Titalyt® using a free sprung balance beating at 4Hz. 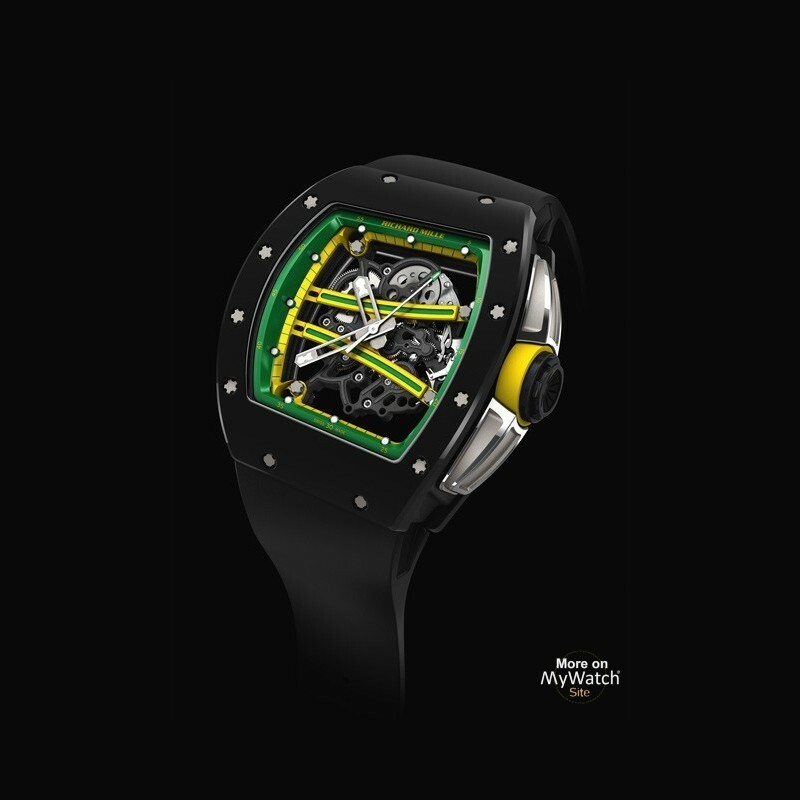 Developed with sporting applications in mind, Richard Mille has consciously aimed for exceptional impact resistance, with validation testing for the RM 61-01 carried out in excess of 5000 G’s. 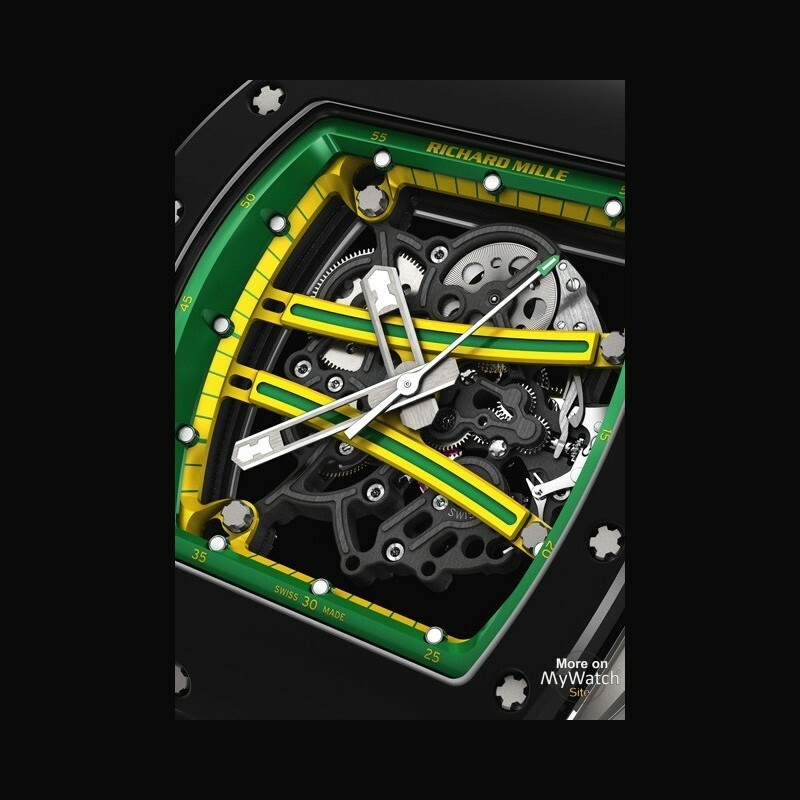 Accentuating the tough character of this novel timepiece are the large crown protectors, offering full security to the crown during sports and other activities. 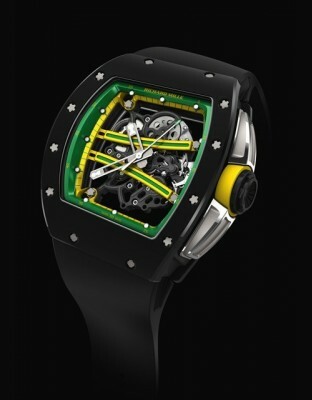 The green ﬂying bridges, woven into the front of the movement, are anodized and painted by hand, bringing to mind the colors of his Jamaican homeland, together with Yohan Blake’s nickname ‘The Beast’, a name imparted to him during his amazing record breaking perfomances on athletics tracks around the world.